I am so excited to announce that I will be a featured expert in the new Mom-in-Chief Lounge! 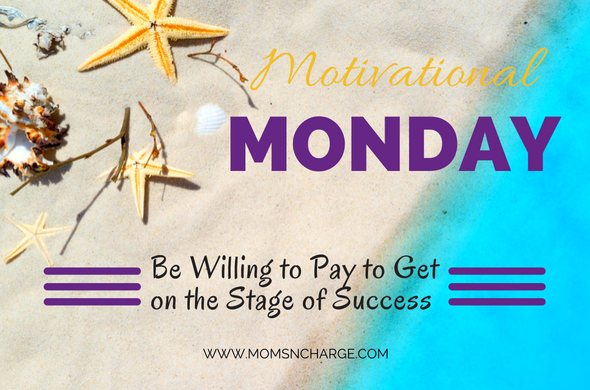 This AMAZING and FREE lounge for busy single moms was created by Single Mom Success Coach, Sarah Aderson (read more about her awesomeness below). While this Lounge was created specifically with single moms in mind, the amazing and valuable content shared, is something that all moms can benefit from. This is a free resource created for you to live a life of abundant success. 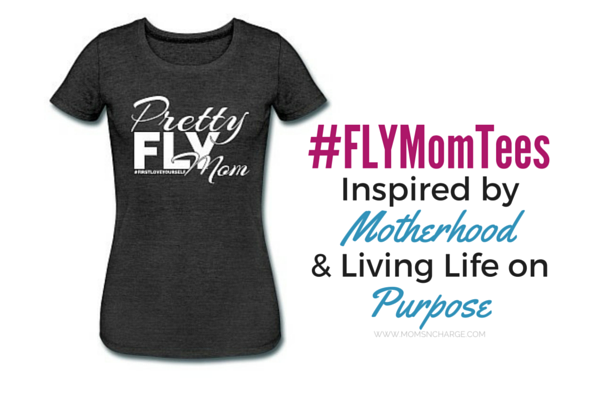 So I invite you to join me with several other amazing experts at the Mom-in-Chief Lounge! 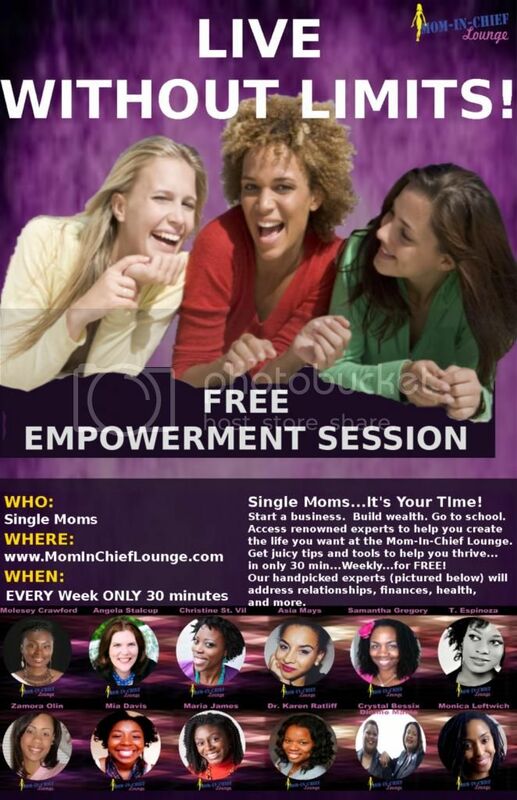 The Mom-In-Chief Lounge is a one-stop community where single moms can access renowned experts, tools, and tips to create the life they want. The FREE webinar series features new experts and topics weekly. Each 30 minute event is jam-packed with real-life content that can be applied immediately. 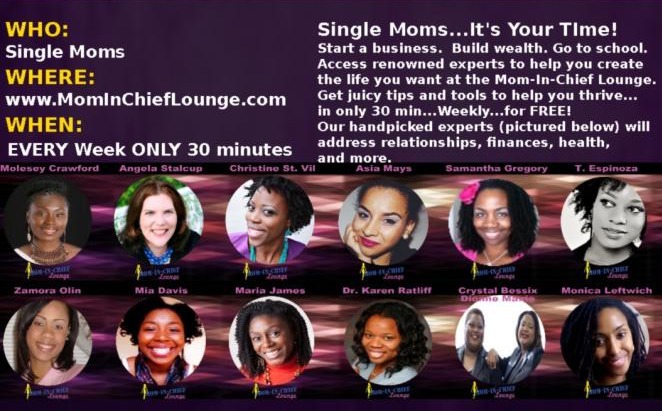 The topics focus on mindset, relationships, money management, health/wellness and much more! Single Mom Success Coach Sarah Aderson empowers single moms to live without limits and create the life they desire. 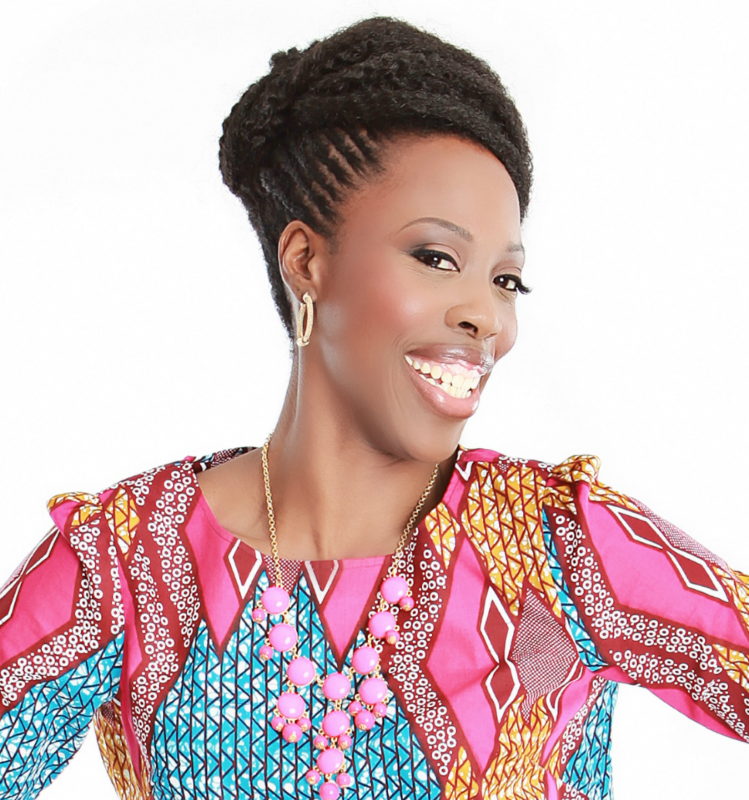 She is the founder and host of the Mom-In-Chief Lounge which features weekly online events that give attendees access to renowned experts, action steps, and a supportive community to thrive. The events are only 30 minutes…and free! On a mission to empower one million women to thrive, Sarah is leading the BE U Movement. Be Unapologetic. Be Unique. Be Unstoppable. Be U! She wants women to know that they are not broken and don’t need to be fixed. The BE U Movement helps women accept themselves fully. It is designed to emphasize the need for women to love their strengths, weaknesses, and recognize themselves as multi-dimensional. Sarah has over a decade of experience in adult education, public speaking, training and development. 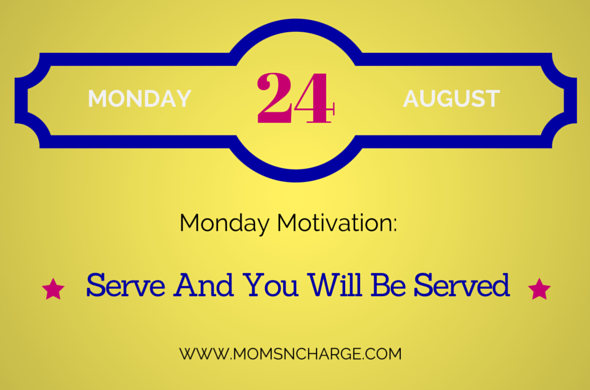 She shares that single moms can live life without limits. “The power to create the life we dream of is within us. The key is to Expand Your Heart, instead of shielding it”. If for any reason you are not satisfied with your yearly VIP Access Pass within 30 days of purchase, Sarah will provide you with a 100% refund. Monthly VIP Access Pass holders may cancel their membership at any time. This sounds like an awesome movement! 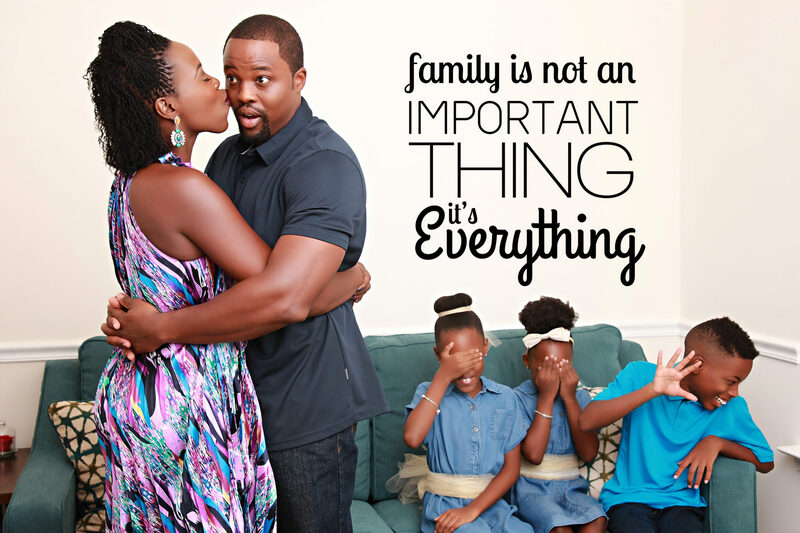 Single moms can raise their children and accomplish all their goals at the same time. Thanks Briana! I think it's so important to make sure our dreams don't die just because we become a mother. This looks awesome! I’ll share it with my friends. Thank you so much Deborah, I appreciate that! I think there are so many women who can benefit from it.